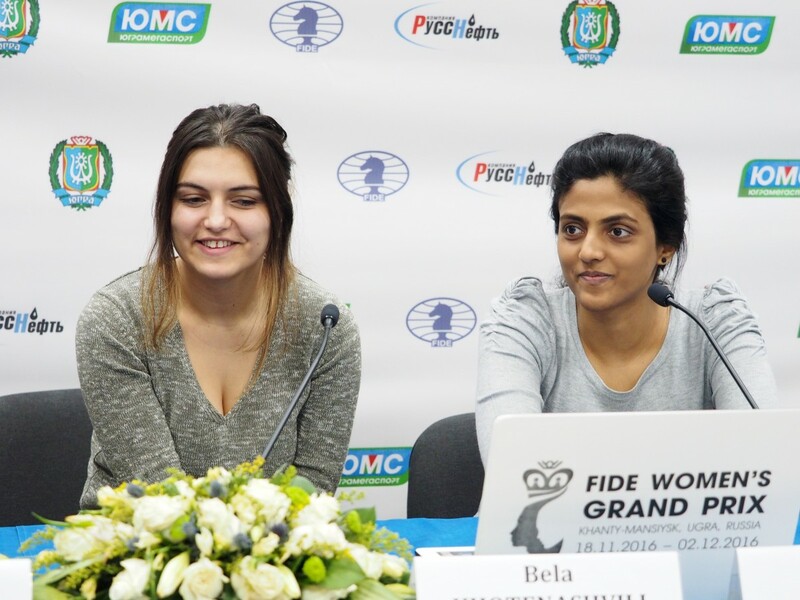 In the 7th round of the final of the FIDE Women’s Grand Prix in Khanty-Mansiysk Nino Batsiashvili lost to her compatriot Lela Javakhishvili and was caught up by Sarasadat Khademalsharieh, who won against Natalija Pogonina. 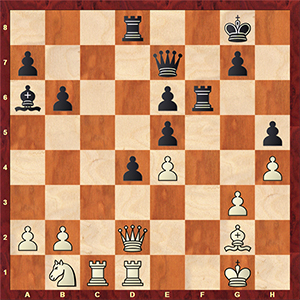 In the game Pogonina-Khademalsharieh a rare line of the Catalan Opening was discussed, where the queens were exchanged quite early. 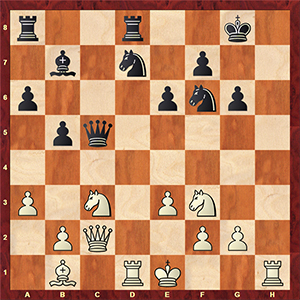 In the middlegame White had a certain advantage but a couple of not very precise decisions led to an equal rook-and-knight endgame. 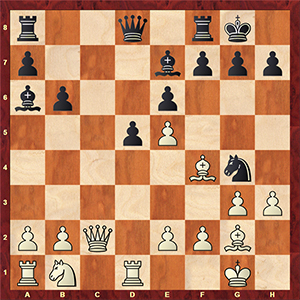 Further on, Black’s position tended to be more preferable due to its pieces and pawns’ better structure and placement, and finally Sara managed to create strong connected passers on the queenside. In a severe mutual time-trouble Natalija didn’t find a way to survival. Almost all the moves except 51. Rxa3?, which was chosen by White, led to a drawish position. For example, 50. Re1 Ne7 51. Nd4 c3 52. Ke5 b4 53. Kf6 b3 54. Nxb3 Rxb3 55. Kxe7 c2 56. Rc1. 51…Kxa3 – and Black won by force. 52. Ke4 c3 53. Nd4 Nxd4 54. e7 c2 55. e8Q c1Q 56. Qa8? (56. Qf8+! was much more persistent) 56…Kb4 57. Kxd4 Qb2+! , and on the 60th move Sarasadat celebrated victory. Nino Batsiashvili played rather aggressively in the game against Lela Javakhishvili, but the position demanded a calmer approach. Black got a very comfortable play after the opening, but White didn’t want to put up with it and opened the kingside. Nevertheless, the position of the White king wasn’t determined and this fact caused many problems for Nino. In the game, she missed Lela’s counter play: 18. Rd4?! (probably 18. Rh3 was the best resource for White) Bxf3 19. gxf3 Ne5 20. Rxd8+ Rxd8 21. 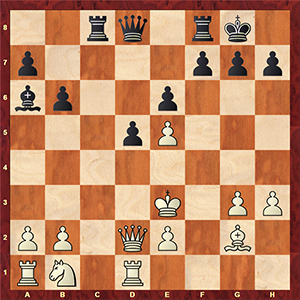 Rh3 b4, and in several moves Black created very unpleasant threats against the White king. Lela Javakhishvili won her first game in the tournament. 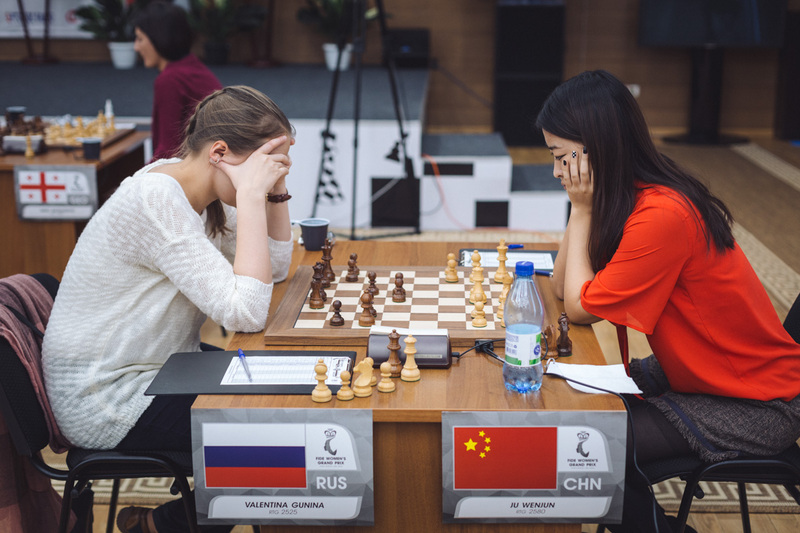 Valentina Gunina applied a very bold knight sacrifice in the game against Ju Wenjun, but later on she was not very precise and didn’t manage to get a decent initiative for the lost material. The Chinese player resisted all the threats in cold blood and eventually won the game. 14…Nxf2! – the move is in Baadur Jobava’s style, who celebrated his birthday on November 26. Perhaps, Valentina mixed up the move order, for Black should have started with 17…f6 followed by an approximate line 18. Kf2 fxe5+ 19. Kg1 Qg5 with obvious compensation. 18. Qd2! After this strong Wenjun’s reply Black cannot put her queen on g5. Then the opponents were playing quite logically, but still Black didn’t manage to create dangerous threats against the opponent’s king. 26…Rf6? is a crucial mistake because after 27. Qg5 White is winning more material. On the 41st move Gunina resigned. Natalia Zhukova won (the second game in a row) against Almira Skripchenko, who admitted that she wasn’t in her best shape in the tournament. 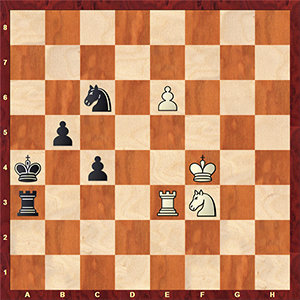 In the opening Almira implemented an interesting idea, achieved an agreeable position, and, at some point, Black was even better. Still the play drifted to an equal endgame with queens, rooks and bishops, but for some reason Black gave up the “b” file and since then the troubles began. Natalia was acting very energetically creating threats on the both sides of the board with her queen and rook connected on the 8th rank, and after a forced queens’ exchange she won a pawn and very soon – the game. 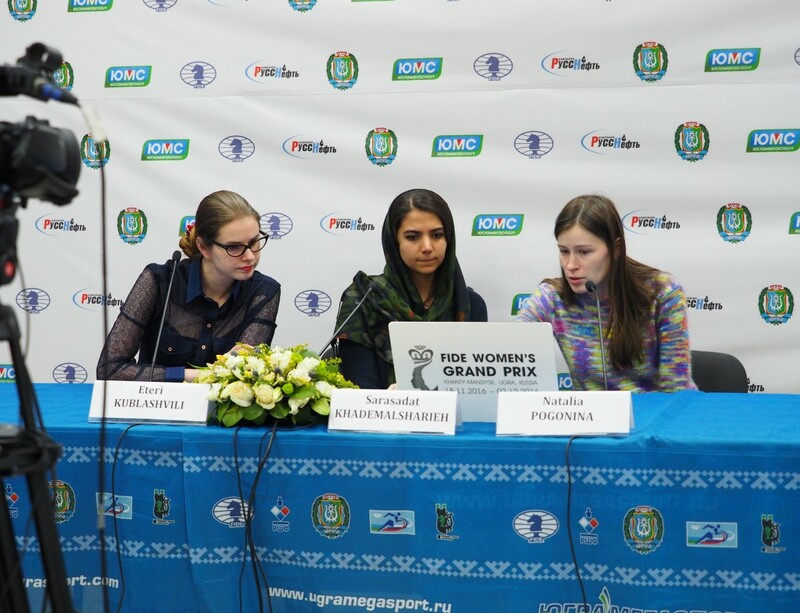 Alexandra Kosteniuk, who was playing Black against Olga Girya, mixed up some lines in the Bogo-Indian Defence and had to defend a difficult position. As the 12th world chess champion said at the press conference, her opponent’s imprecise play had allowed her to escape serious trouble. Step by step the position was equalizing and simplifying, and on the 32nd move the draw was agreed. Bela Khotenashvili and Dronavalli Harika discussed the Catalan Opening, where the play didn’t really exceed the limits of equality, so the draw became the most logical outcome. After her win in the 7th round Ju Wenjun once again tops the overall standings of the FIDE Grand Prix Series. Humpy Koneru is several points behind, while Alexandra Kosteniuk is currently occupying the third place. 1-2. Sarasadat Khademalsharieh, Nino Batsiashvili – 4,5, 3-6. Alexandra Kosteniuk, Natalia Zhukova, Olga Girya, Ju Wenjun – 4, 7-8. Valentina Gunia, Dronavalli Harika – 3,5, 9. Bela Khotenashvili – 3, 10-11. Natalija Pogonina, Lela Javakhishvili – 2,5, 12. Almira Skripchenko – 2.